Hello hello hello! Today it's an essential item post from me! Rather than doing a favourites post just yet (it isn't the end of the month AND I have way too many favourites this month!) I wanted to talk about essential things I've been loving and using this Summer. 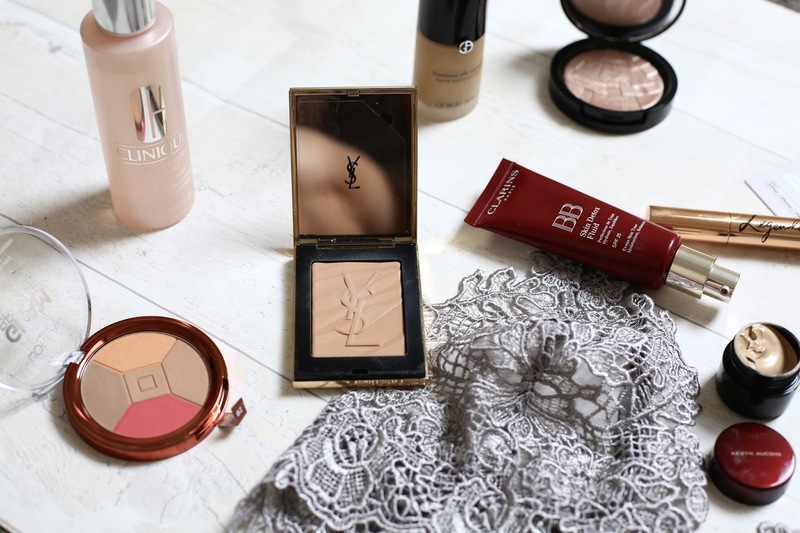 There are some absolutely epic discoveries on here and they're genuinely a huge part of my make up bag/life at the moment so I'm excited to introduce you to them! Let's begin! L'Oreal Glam Bronze La Terra - This gives the most beautiful, healthy glow. You could say I'm a little obsessed with this multi-tasker. Bronze, glow, blush - you got it all. This little baby is not leaving my make up bag. Anastasia Beverly Hills Illuminator in Riviera - This came with my 4th July best of USA box which I was kindly sent from BeautyBay. I have always wanted to use Anastasia Beverly Hills and finally, thanks to Beauty Bay, I used it! It's safe to say that it lives up to expectations and this illuminator is all things magical. Perfect for a Summer glow. Clinique Moisture Surge Face Spray - The best product for Summer, face sprays! This one by Clinique is heavenly. This is a refreshing face spray, zero oil but it replenishes the moisture and restores the skins balance. I am obsessed with hydrating my face throughout the hotter months and this is perfect. Clinique always get it right. 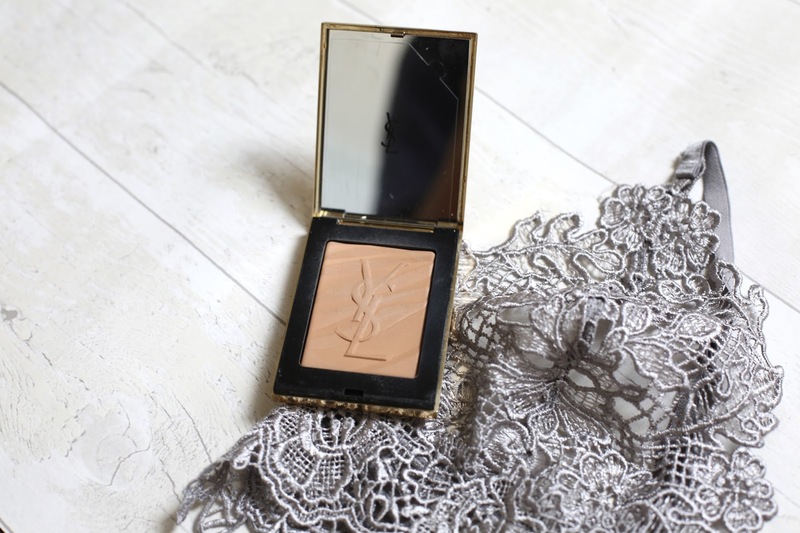 YSL Sahariennes Bronzer - Need I even talk about how fabulous this is? Just look at the packaging. Yves Saint Laurent have a very special place in my heart, not only are they one of my favourite brands for leather goods, but also, for beauty. I've never used a bad product from them and this range exceeded all expectations. This gives the ultimate Summer glow and it's made using bronzing stones which use micro-milling machinery to give a zero-texture result which equals a weightless feel. Goodbye cakey make up! Kevyn Aucoin Sensual Skin Enhancer - I fell in love with this when the girls at Space NK did my make up for my graduation day. It's a little pot of magic and has dual uses. Perfect for evenings as it is very heavy, but it feels lightweight. You can use this as an all over foundation (the girls at Space NK told me to mix it in with a drop of oil, this makes it less heavy) or, you can use it as a concealer or for the under eyes. It's seriously thick but it's great for killer night out make up and the most beautiful, flawless finish. Kevyn Aucoin is one of my absolute favourite brands and this is only one of the reasons why. Clarin's Skin Detox Fluid - Clarins are back again with yet another Summer favourite. I have been using Clarins BB creams for as long as I can remember and their Skin Detox Fluid doesn't disappoint. A really good BB cream because it fixes the skin whilst it minimises imperfections too. I think the coverage is amazing and really buildable but it allows the skin to breathe in Summer. Armani Luminous Silk - The Kardashian sisters love this foundation, apparently both Kourtney and Kim Kardashian wear this so I definitely had to give it a try. I've been using it for months now and it gives the most flawless but dewy glow. I find it makes me look natural but flawless at the same time, it's perfect for the no make up make up look. Ann Summers Lingerie - Beautiful, Summery pieces from Ann Summers, like this gorgeous bra have been in my wardrobe this Summer. I actually think this looks amazing underneath loose cami tops too! Floral is definitely in and I love the shade of this. Charlotte Tilbury Legendary Lashes Mascara - This mascara gives the most insane, incredible long, black lashes in one stroke, perfect for Summer nights. All I would say is that it transfers underneath so make sure you blot it off after with concealer! I can handle that though because the mascara itself is so perfect. Case Station USB Charger - This is super affordable and is an absolute Summer (and general life) must have by the angels over at Case Station. It fits on your key ring so you have a charging cable with you wherever you go! You can plug it into an external charger (I got mine from Case Station) or a car USB or a laptop USB! So when you're out and about this Summer at festivals or on road trips, you know you'll have a charged phone. I don't know what I did without this cable. There have been so many times when I've forgotten my iPhone cable and now it's always on my keyring! Thanks Case Station! So there we have it, some of my top Summer essential items! Let me know what yours are or if you've used any of these ones?